Anthony Marcella is often first on the scene of an emergency in his local area when someone calls 999 – but he isn’t paid to be there. 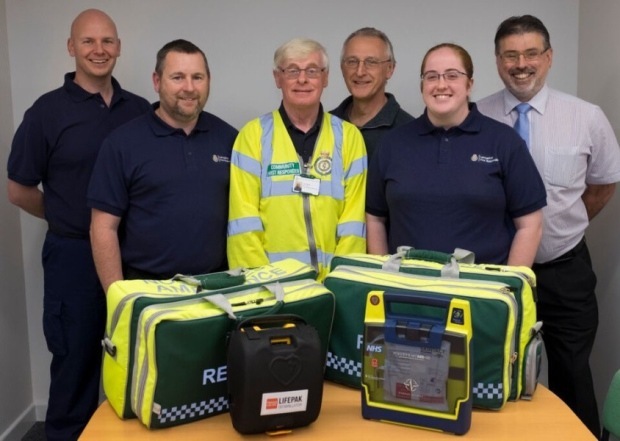 Instead, the dad-of-two volunteers as a Community First Responder (CFR) for the North West Ambulance Service, and his contribution really can be the difference between life and death. “I’m part of a team of volunteers based in the community,” he says. “We’re on call, and we’re dispatched by the ambulance service when there’s an incident such as cardiac arrest, unconsciousness or an asthma attack. Anthony, who lives in Lostock Hall with his wife Laura, joined the New Longton CFR team two years ago, which covers parts of South Ribble and Preston. “There is only a limited number of ambulances in the area, based at Leyland, and the service is very stretched,” he adds. “The paramedics could be in Chorley or elsewhere, so it’s important to have community responders covering the towns and villages. “I’m a stay-at-home dad, so I’m on call at nights and weekends when my wife’s at home. There’s another responder in Lostock Hall who’s retired so he does the days.